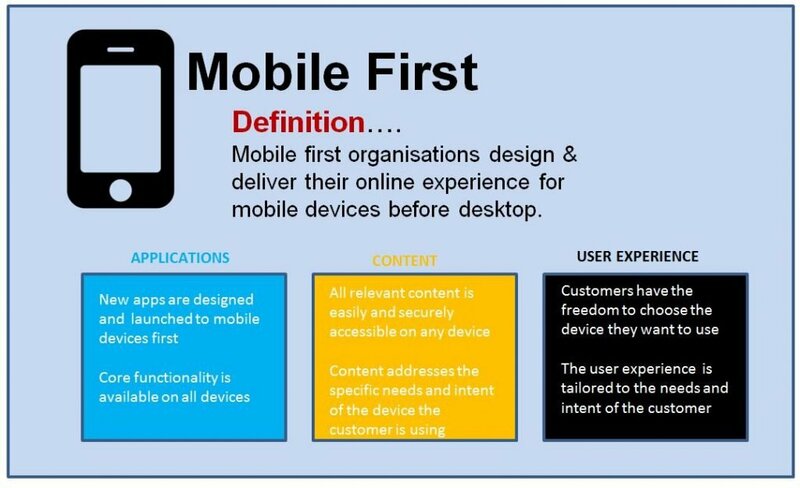 Mobile first is a strategy for site design that means designing the online experience for mobile web before desktop web. The rationale for mobile first is that it is better to design for the smallest screen size first as it is the most challenging user interface to produce. Mobile is also the fastest growing and now most popular method of searching the web. People often have different goals depending upon which device they are using. As a result allowance needs to be made for mobile users’ distinctive triggers and motivations. 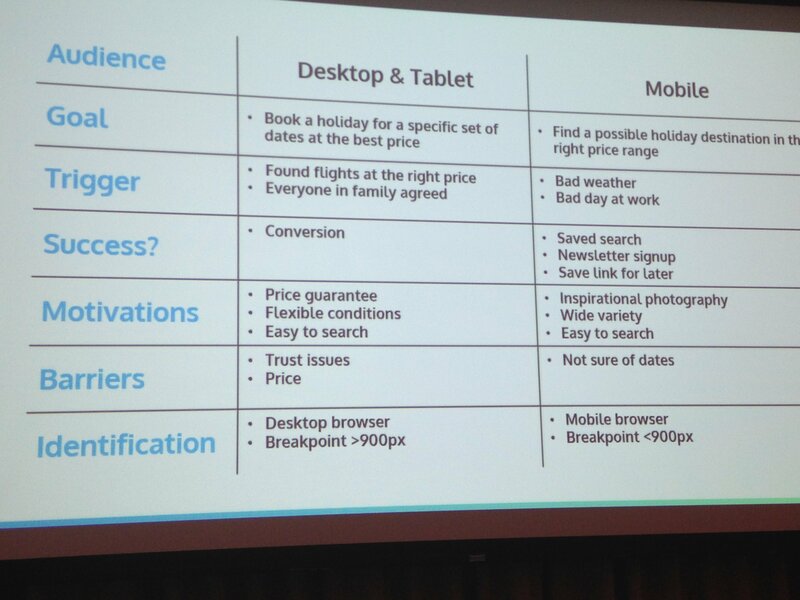 This may mean that your success metrics for conversion on mobile also need to be different from desktop. Also see mobile optimisation and mobile optimised copy. Mobile only – Why is your mobile only customer journey leaking cash?